You've found the perfect house — the one that is just the right size and condition for your needs and your family, that's located in the ideal neighborhood and that sits within your price range. The next step: Submitting an offer. If you've never made an offer on a house before, taking the plunge can feel a bit overwhelming. You're not alone -- nearly 34 percent of all home purchases last year in Texas were first-time home buyers. Your real estate broker can answer every question you have, but it can be reassuring to understand the process from start to finish. 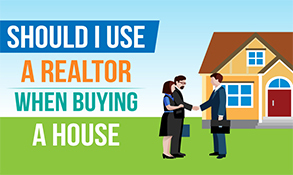 Let's start by explaining the process and answering some of the most common questions about making an offer on a house. 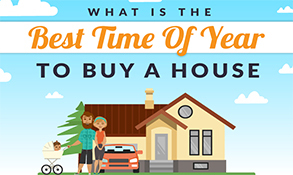 In hot real estate markets, it seems that there's barely any time to get your offer in once you find a house that you like. In fact, many buyers are getting stuck in a bidding war for the home they want. 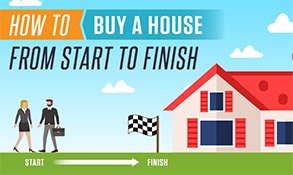 Make sure you're ready: You know what you want and can afford, you have been pre-approved by a mortgage lender and you have sufficient earnest money to prove you're serious about any offer you make. When you're prepared to make an offer, you won't waste valuable time trying to pull these things together. As far as knowing whether the house you're considering is "the one," imagine what would happen if your offer was accepted immediately. Would you be ecstatic, or overwhelmed? Would it feel right or would you feel like you'd settled for something that was not quite what you wanted? It has the right amount of space. You have the number of bedrooms and bathrooms that you need for family members to feel comfortable. It's okay to have a smaller home, especially for your first, but make sure you anticipate how you can use the space effectively. It is likely to pass an inspection. You may be a big Do-It-Yourselfer, but there are many issues a house may have that you are unlikely to want to tackle. Look at factors like whether the roof has been replaced recently, the electrical box hosts only ancient screw-in fuses or other signs of old wiring or if there are any obvious signs of dry rot or disrepair. You can change your mind if a full inspection reveals previously unseen problems, but don't fall in love with a structure that shows obvious issues. The neighborhood is right for you. The location is convenient for work, school, and recreation, plus the area's "vibe" is what you're seeking. Maybe it's a well-established neighborhood with green lawns and white fences or an up-and-coming area with a lot to look forward to — either way, it fits with your lifestyle and your family's needs. 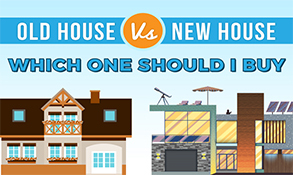 Once you feel like a particular house is the right one for you — or at least one that you can enjoy living in — it's time to make an offer. 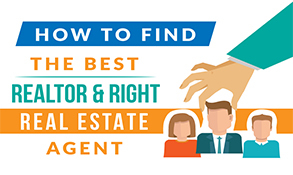 How Does Your Real Estate Agent Help With Your Offer? Your real estate agent can help write your offer so it covers all your bases. 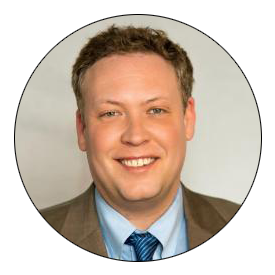 As an experienced professional, your agent has seen what helps a good offer get accepted and what to avoid doing and can help you craft your request accordingly. Typically, an agent has a generic offer document, called a Residential Purchase Agreement (RPA), that can serve as a foundation for your unique offer. This includes legal information that must be part of a formal offer, including the legal address of the house, the price you're offering and the terms, how closing costs are to be handled and what the duration of the offer. By using a framework to create an offer, you'll be sure to include all that are both legally required and written to appeal to the owner. Your agent can also advise you on how to "sweeten the pot," and increase your odds of having a seller accepts your offer, whether that's by offering just a bit more than asking price, including personal information to persuade the seller to choose your family or reducing the number of contingencies in the offer. What Does a Typical Offer on a House Include? Contingencies. These are any conditions that must be met before the sale can go through. The roof is in disrepair? You'll buy with a contingency that the seller has a new roof professionally installed before the sale goes through. Even more commonly, contingencies protect the buyer; if a loan doesn't get approved, for example, the buyer will be off the hook. Also likely: You'll include a contingency the requires a professional inspection with the ability to negotiate or even back out completely if problems are uncovered. Escalation Clauses. Your real estate market is red hot, but you don't want to offer so much over the asking price that you get a less-than-stellar deal? An escalation clause lets you ensure you'll have the highest bid without going over what you need to. For example, your clause might spell out that you, the buyer, will pay $350,000 for the house, or $1,000 over the highest bid not to exceed $400,000. If the seller receives several offers, yours will stand out as being serious and willing to do what's necessary to get the property. Earnest Money / Good Faith Deposit. This is like a small down payment that tells the seller you're serious about moving forward. Generally, when you make a good faith deposit, the house comes off the market pending an agreement between you and the seller. In most markets, this earnest money is between 1 and 3 percent of the proposed purchase price. Once you submit your offer to the seller, he or she will review it and may find some portion that isn't quite agreeable. This doesn't have to mean that the offer is not accepted; often, the seller simply makes a counteroffer to negotiate with you about the terms of the sale. Perhaps, for example, the seller doesn't want to replace the roof but will offer to knock a few thousand dollars off the purchase price. 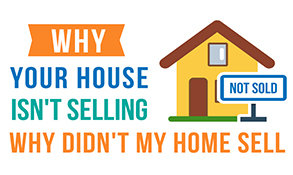 You can decide whether to counter again or accept the seller's changes. 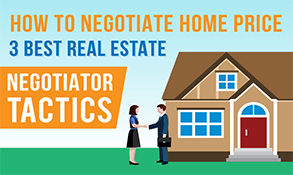 There are no limits on how many times you can go back and forth, but common residential real estate transactions only have one or two rounds of this type of negotiation. Can You Take Back an Offer on a Home? 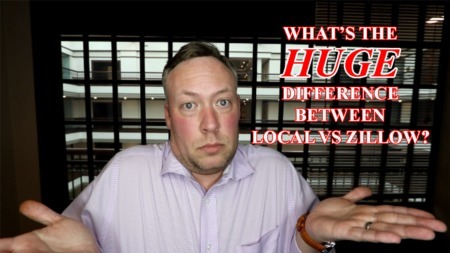 This is one of the most common real estate questions. In most cases, you can take back an offer and back out of any sale as long as you and the seller have not signed a purchase agreement. In the offer documents, your agent can also insert a duration or period of time that the offer is good for, and if that is exceeded then the offer will automatically end. However, you have to make sure that your state doesn't view the offer itself as a purchase agreement. 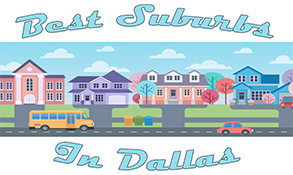 For Dallas-Fort Worth buyers and other Texas residents, you will need to fill out a separate purchase agreement form, so this is unlikely to be an issue. Ask your real estate agent to understand clearly at what point you can no longer rescind an offer on a residential property. 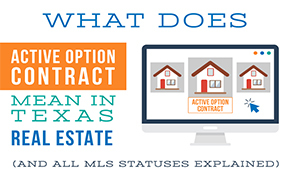 In Texas, as well as most states, there is what is called the "option period" where the buyer has a certain number of days to conduct inspections while still having the "option" to terminate the contract. In order to have this option, the buyer will pay an amount of money to the seller which is non-refundable. Congratulations! Your offer is accepted. Now, what happens? First, once the counter offers are completed and both buyer and seller have agreed on a purchase price and contingencies, the property is considered "active under contract." There are unlikely to be major issues from this point forward, and you'll likely find yourself packing moving boxes in just a few short weeks. However, you'll need to pass through the following steps before you can officially take ownership of the property. Appraisal. A third party will assess the property and ensure that it's worth the proposed purchase price. Usually, the appraiser is employed by your lender to make sure the loan won't be greater than the home's value. If the lender doesn't find that the home is worth what you've proposed to pay for it, you'll either need to come up with the difference or call off the deal. Inspection. A professional home inspector will look all around the property for potential issues. Outdated or dangerous electrical wiring? Ancient plumbing pipes? Trees with roots growing into the foundation? 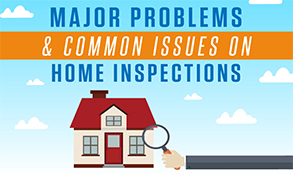 All these issues will be noted in an inspection report. If the inspection uncovers a major issue, you might be able to re-enter negotiations with the seller to either have repairs made or to reduce the purchase price enough to cover the cost of the buyer making repairs. Legal Disclosures. Sellers are legally required to let you know about certain problems that might be in play at the property — things like the presence of asbestos, a potential carcinogen; mold growth; pest damage that might impact the integrity of the home's structure; or the home's location in a flood zone. The exact required disclosures vary by state. Sellers will report any problems in a document called a Real Estate Transfer Disclosure Statement (TDS). If anything raises red flags, you may be able to negotiate for a lower purchase price, require the seller to fix the problem if possible, or back out of the deal. Title Report. A title report shows who legally owns the property and if there are any liens or restrictions on the property. You want to be sure you will own the property free and clear once the deal goes through. 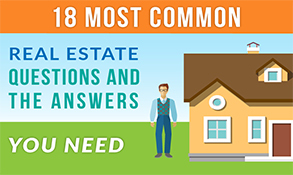 It's somewhat unusual for a title report to turn up a problem, but if one does arise, talk to your real estate agent or a real estate attorney about how to proceed. Lender Documents. 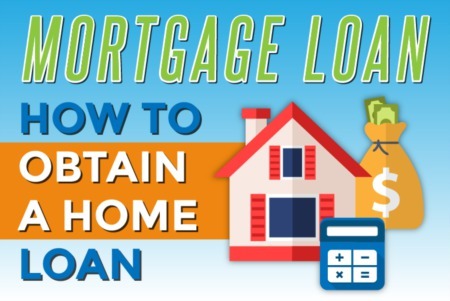 You'll need confirmation from your lender that you still can borrow the amount of money you were pre-approved for and that nothing has changed to jeopardize a home loan. The lending entity may also require that you carry mortgage insurance, depending on several factors like the ratio of the loan to the property value; if you need it, you'll receive documentation from your lender on how to secure a policy. Proof of Insurance. Your lender will likely want to make sure you have insurance in case of a problem, so you'll need to work with a provider of homeowners' insurance to secure coverage. Depending on your location, earthquake or flood insurance may be necessary. Final Walk-Through. Before you take possession of the home, you'll have the right to go through it one more time and make sure nothing has changed that might impact the sale. If something has not been repaired as expected, you can require that it's done before closing the deal. Contingency Removal. Are there any contingencies still in place? If the appraisal and inspection have been satisfactorily completed and your lender has approved your loan, you should be able to complete all contingencies. Once all this has been completed and contingencies have been removed, the offer is officially "pending" and should be able to close without any problems. Closing is the process of taking ownership of your new property. The offer is accepted, everything is ready to go, and you'll be able to sign paperwork to officially purchase your new home. Closing typically takes place at your title company's office, and includes the transfer of down payment money to the escrow company, which holds it for the seller. Once you've completed closing, the property belongs to you. Making an offer on a home can be nerve-wracking, but it's much easier with an experienced real estate agent at your side. Knox Real Estate Agents understand the market and can work with you to find the ideal property for your family -- one that you'll want to make an offer on. What's more, we can help you assess the timing of your offer, understand which important contingencies to include and evaluate counteroffers from the seller. Contact us to learn more about our services and how we can assist you with buying a home for your needs.